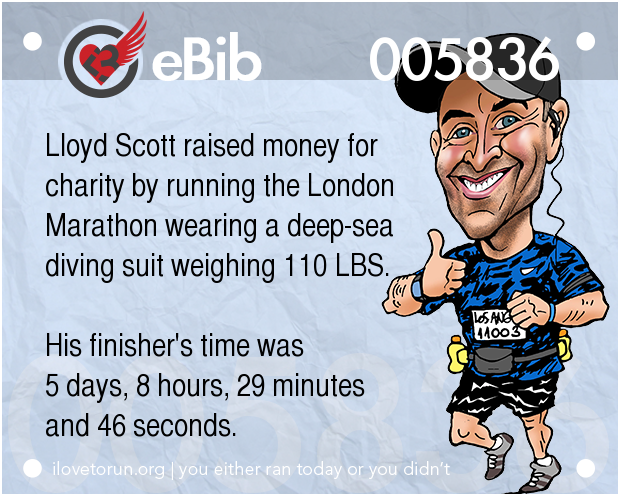 Some people don’t like to wear water belts when they run because they feel it will “weigh them down.” Just tell that to Lloyd Scott. Here’s the latest “Fast Fact” to rattle around your noggin. 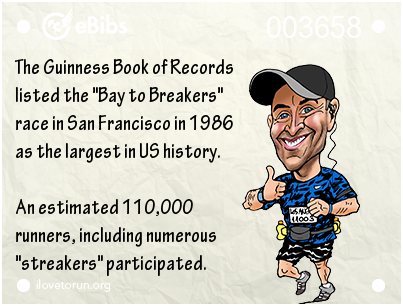 *NOTE: The stat is based on races with at least 2,000 finishers. 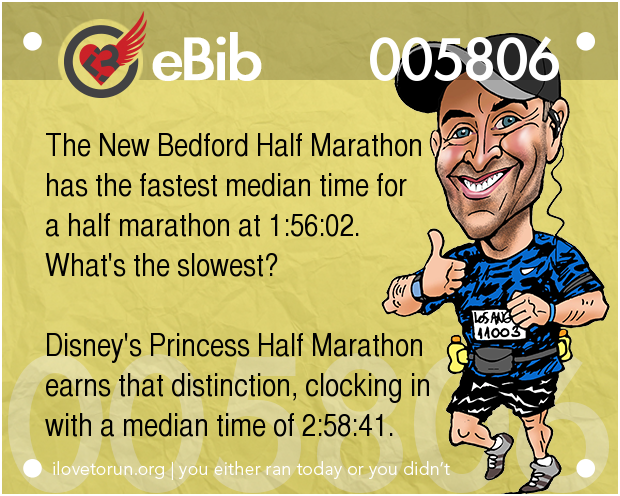 And since 4 of the 5 “slowest” half marathons on the list are Disney races, you have to figure that the median time is more than a little impacted by runners/walkers stopping to take pictures with Disney characters. Say “cheese” Mickey! When checking your race calendar, which month is overflowing with the most races… and “all of them” is an acceptable answer. Here’s the latest “Fast Fact” to challenge your cabeza. 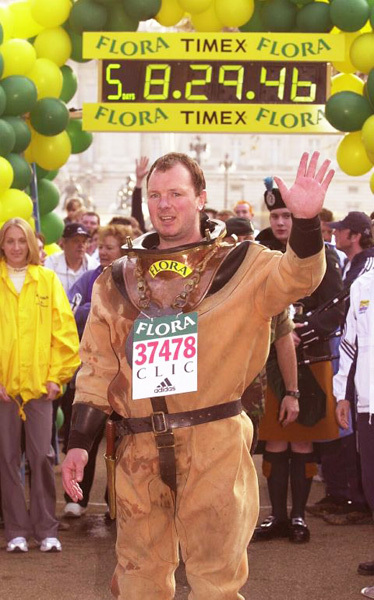 Do you like to run “small races” or prefer the company of umpteen thousands of complete strangers? Do you prefer your races north or south of the “Donna Dixon”* line? Here’s the latest “Fast Fact” to make your synapses fire (or misfire). *NOTE: Okay, it should be the “Mason-Dixon” line, but I wanted to see if you were paying attention. For the record, Donna Dixon is an actress who appeared in the sitcom “Bosom Buddies” with Tom Hanks and in the film “Doctor Detroit” where she met and later married comedian Dan Aykroyd. 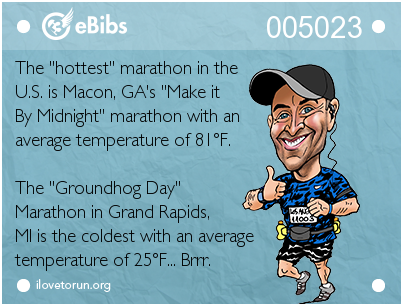 Do you prefer to run in a sauna or a freezer? 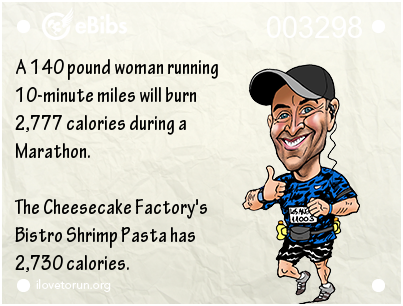 Here’s the latest “Fast Fact” for you to ponder. Stupid traffic, smog, crazy real estate prices and earthquakes are just some of the things that make living in “The Golden State” challenging from time to time. 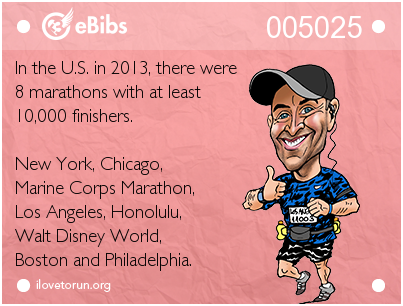 But one thing we do have is a whole heap o’ marathons. Here’s the latest “Fast Fact” for you to enjoy. Note: Yes, I know Washington D.C. is not officially classified as a state, but “Districts” deserve love too. Tags: California, FindMyMarathon.com, Texas, Washington D.C.
On Sunday, May 4th I ran the OC Marathon. It seems I had plenty of options. Here’s the latest fast fact for you to chew on. Enjoy. 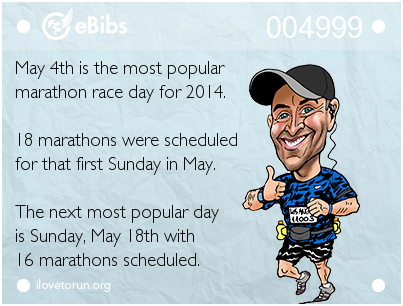 NOTE: According to the website, not all of the 2014 race dates had been confirmed, so the result is subject to change (as are most things in life). *Source: Wikipedia (because they’re never wrong). *NOTE: Statistics on this number vary from .1% up to 2% depending on the source. Here’s today’s Fast Fact. Enjoy! 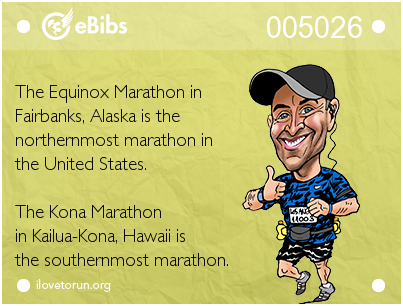 These are little tidbits and trivia about all things running. 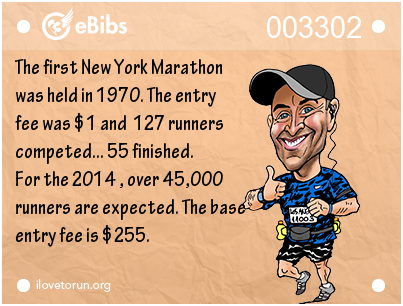 Today’s fast fact has to do with the annual fall pilgrimage through New York.